Description: No additional Credit card fees and only $15.00 Shipping and Insurance! 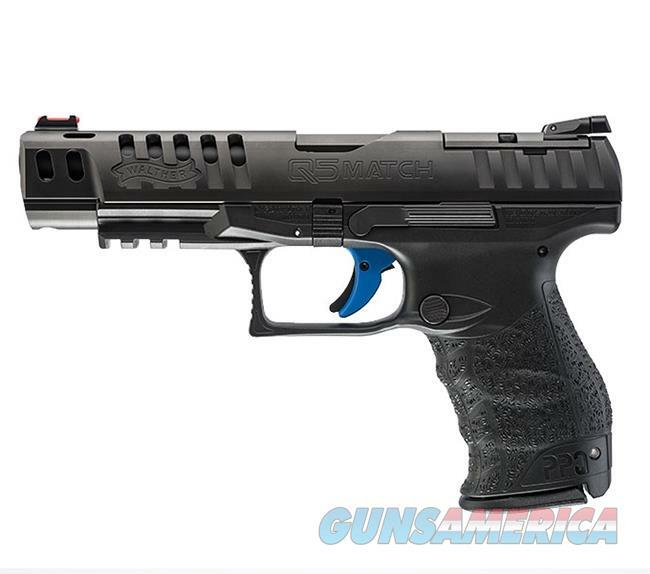 Walther PPQ Q5 Match 9mm Mfg# 2813335 FAMILY: PPQ Series MODEL: PPQ Q5 Match TYPE:Semi-Auto Pistol ACTION: Semi-Auto STOCK/FRAME: Polymer Frame CALIBER: 9mm CAPACITY:15+1 # OF MAGS:3 MAGAZINE Capy:15 rd. BARREL: 5", OVERALL LENGTH:7.1" Stock photo used.